Perpetrators remain free, while six Christians jailed on unrelated charges. 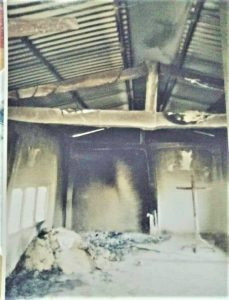 NEW DELHI (Morning Star News) – Christians in Nepal are alarmed after this month’s sudden series of arson and bomb attacks on four church buildings, and church leaders suspect authorities are lax in investigating. At the same time, six Christians were arrested for evangelizing while suspected Hindu extremists launched attacks on three church buildings and bombed another. The attacks caused extensive property damage but no casualties. 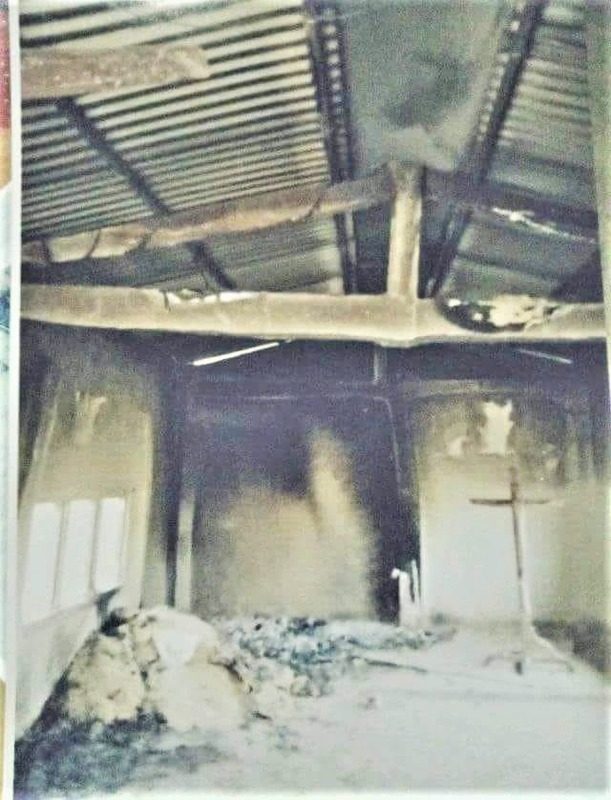 The Hebron Church building in the eastern hilly region was set on fire on May 9, Emmanuel Church’s building in western Nepal’s Doti District was burned on May 10, and the Kanchanpur Emmanuel Church building in the midwest hilly region was set ablaze on May 11. Before midnight on May 12, the Mahima Church building in Dhangadhi, in western Nepal, was bombed. Neither government officials nor police have issued a formal statement on suspects, though police have attributed the attacks to the Nepal Communist Party, known as the Biplab Group. But Christian leaders in Nepal suspect a coordinated campaign by Hindu extremists. Police are cooperating with church leaders and taking their complaints, but officers have not made any arrests, Tanka Subedi, chair of the Religious Liberty Forum Nepal (RLFN), told Morning Star News. He suspects officials have told police to proceed slowly. “They have not made any arrests yet, as it seems that they have been clearly notified to not carry out arrests in these cases,” Subedi said. 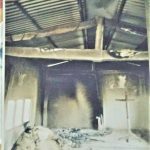 The Mahima Church building in Dhangadhi was partially damaged around 11 p.m. on May 12 after an unknown assailant hurled a bomb into it after others broke a window. Doors, furniture, carpeting, electric appliances, the roof and windows were reported damaged. Mahima Church pastor Birendra Kariya told Morning Star News he has faced no threats since he began leading the church in 1999. Police promised that they will investigate, but church leaders have received no response from officers about the cases, Pastor Kariya said. Pastor B.P. Khanal of The Lord’s Assembly told Morning Star News the similarity of the attacks indicated they were coordinated by a single entity. Recently a social media movement has arisen against Christians on Facebook and Twitter with such hashtags as “Hindu Awakening against Conversion (Esai Karan ke Virudh Hindu Jagaran Abhiyaan),” openly threatening killing and attacks, Pastor Khanal said. In Panchthar in the eastern hilly region, Pastor Hasta Lova Limbu of the Hebron church said there was no one in the building when it was set on fire at night. Furniture, the pulpit and the carpet were charred. A youth conference concluded a day before the May 9 attack, said Subedi of the RLFN. Pastor Shyam Thapa of Emmanuel Church said he was in his house, constructed at the back of the church building, when it was set ablaze at 10 p.m. When he detected it, he and area police doused it after flames damaged furniture and electrical circuits. Pastor Dhirendra Rana, 34, who has been leading Kanchanpur Emmanuel Church for 10 years, said the building suffered huge property losses. “The miscreants broke the lock of the church and formed a heap of all the stuff present in the building, including the records of the church, 300 kilograms of grain and electric appliances, and they set everything ablaze,” Pastor Rana said. He lives less than a mile from the church building, and on the morning of May 12 he found it completely burned. A church member normally sleeps at the church building to guard it, but on that night he was away at a wedding, the pastor said. The church has not been able to meet for worship, he added. “I reported the matter to the local police, but I have not heard anything back from them since then,” Pastor Rana said. The pastors shared this view even though they had not spoken to one another. Christian leaders also shared the view that the sudden rise in attacks against Christians is in one way or another influenced by the recent rise of anti-Christian policies and hostilities in India. Indian Prime Minister Narendra Modi visited Nepal on May 11 and 12. Subedi of the RLFN said Christian leaders have appealed for help from the government. At the same time, six Christians are under police custody in Tehrathum District, eastern Nepal, under allegations of evangelizing. On May 9 two of them were arrested while singing worship songs on the street and allegedly proclaiming Christ, while four were arrested at their homes, Subedi said. They appeared in court on Thursday (May 17), when their remand to jail was extended for seven more days. Arrested were Dinesh Subba, 28, Ashish Subba, 22, Dipak Subba, 28, Manatula Dhital, 44, all from Jhapa. Also arrested were two visiting from India – 40-year-old Barshiya Dhital of Sikkim, and Pawan Rai, 33, from Paschim Bangal. Kanchanpur Emmanuel Church building in midwest hilly region of Nepal was set ablaze on May 11.